Echinacea is a member of the daisy family (Asteraceae), is native to the United States, and is one of the most popular herbs in the US market. It is used internally to treat upper respiratory tract infections, as an immune system stimulant, and topically to promote wound healing. 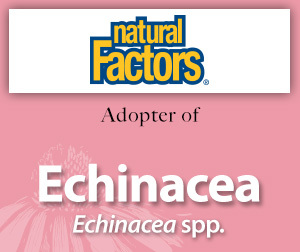 Please enjoy this information on echinacea made available through the generosity of Natural Factors' adoption. Cochrane Review of Safety and Efficacy of Echinacea Preparations Shows Trend of Small Preventive Effect for Common Cold Symptoms. 2015; 107:1-6. 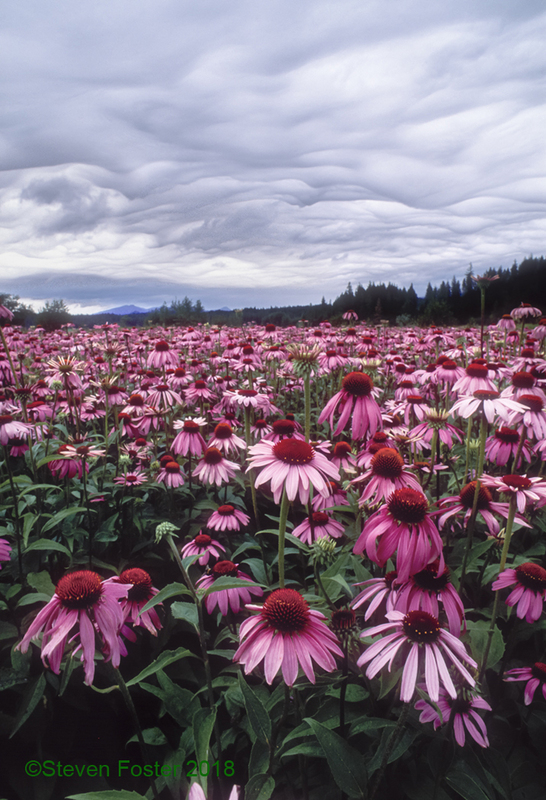 Echinacea Differences Matter: Traditional Uses of Echinacea angustifolia Root Extracts vs. Modern Clinical Trials with Echinacea purpurea Fresh Plant Extracts. 2013; 97:46-57. 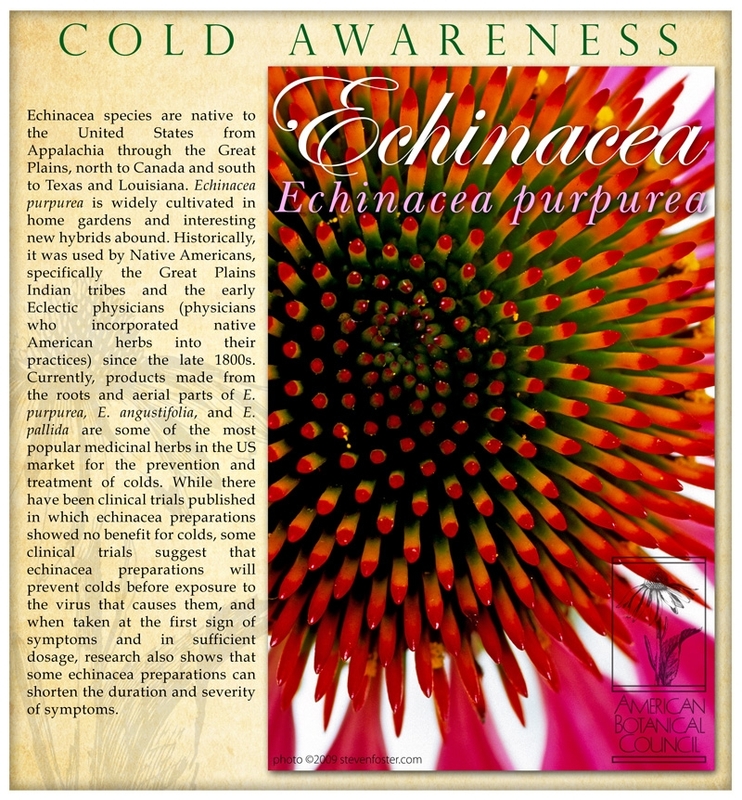 Three Systematic Reviews of Echinacea Clinical Trials Suggest Efficacy with Cold Symptoms. 2007; 74:28-31. Echinacea spp. Extracts Are Well Tolerated with Few Adverse Effects. HC# 121522-548, July 15, 2016. Meta-analysis Concludes Echinacea Extracts Safely Reduce Risk of Respiratory Tract Infection Recurrence and Complications. HC# 071566-534, December 15, 2015.